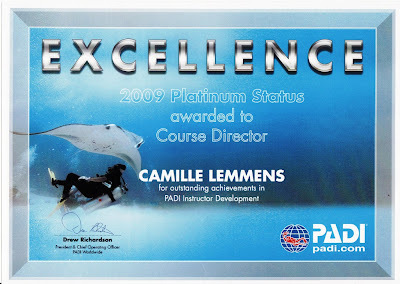 For a fifth consecutive year, since PADI Asia Pacific introduced this rating, Camille received the prestigious PADI Platinum Course Director rating for 2011, a rating that allows me to become one of only 57 Course Directors worldwide to earn this level of recognition! 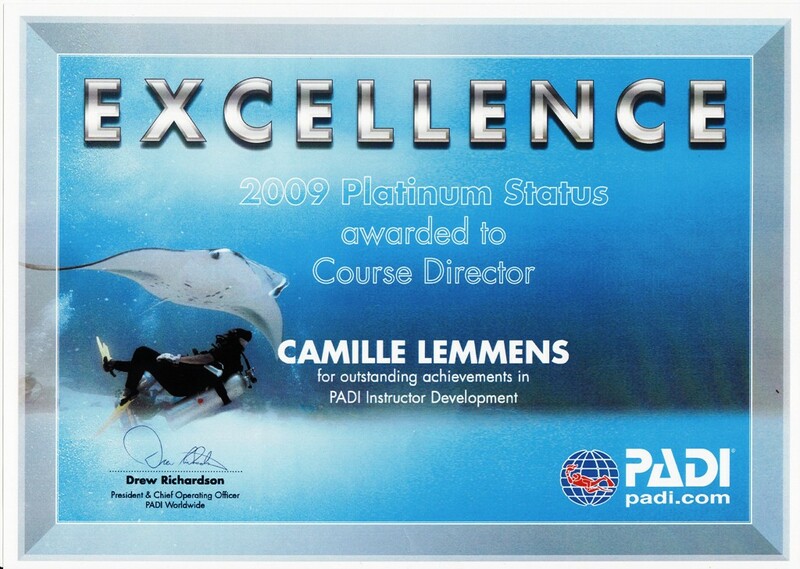 Above is a picture of the 2009 wall certificate, hopefully the new one will drop in my mail box soon! Come and join me in one of my IDC's, have a look at my current IDC schedule to look for an IDC that fits your schedule.